THAT MARVELLOUS miniplex, the Genesis, this Sunday hosts a world premiere. The homely Whitechapel cinema unveils Traveller, a film about the Travelling people and householders. 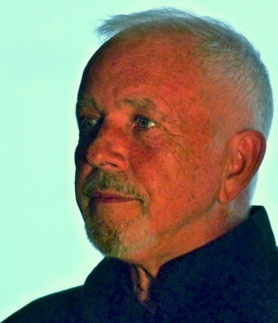 Actors from the film, among them 1970s heartthrob David Essex, will be in attendance. 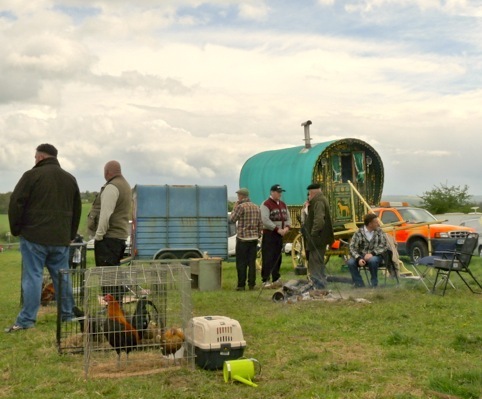 Essex, above, centre in a still from the film, has over the years given the public various versions of his connection to travellers, most lately that a “grandfather was a tinker from Cork”, Eire. He has quiety become involved with groups working for Travellers. You can expect more films about Travellers. The popularity of the shocking TV series My Big Fat Gypsy Wedding has ensured that. And the movies are likely to be as confused as MBFGW about the distinction between Gypsies and Irish Travellers (or Travellers of Irish Origin, as the more vocal of their supporters — social workers, teachers and would-be Gypsies — have ruled they should be known. Here, the abbreviation ITs will be preferred to TIOs). The plot of Traveller, directed by Benjamin D. Johns, is said by the film’s producers to concern “the conflict between the world of the Gypsy and the world of the Gorgio (settled people), as seen through the eyes of Owen McBride (played by Billy Cook) – a half-breed with a Gypsy father and a Gorgio mother – and Ann (played by Kerry Hayes), an ambitious, but honest, police officer. “Owen lives in the no-man’s land between the two societies and tries to keep his distance from both. The gorjias [non-Gypsies] distrust him and discriminate against him and the Gypsies believe he’s unlucky. However both worlds encroach and threaten Owen when he becomes involved…” To tell any more would be a spoiler. The movie is based on the novel Tribe by John F. Macdonald, which appears to be out of print, and for which this site could find no professional reviews. The screening of the one-and-a-half-hour film will be followed by a question-and-answer session. * Traveller, at the Genesis Cinema, 93-95 Mile End Road, Whitechapel E1 4UJ, Sun 8 Sep 2013 at 6pm. Part of the British Urban Film Festival, Thurs 5 Sep 2013-Sun 9 Sep 2013. Jack very very upset he will miss seeing his friend again. It’s a bad night, Sunday: we live so far away — we would have to stay over and the boy would not be allowed the Monday off school. Well, David Essex may not turn up, although his record on such matters is good and the organisers have assured me he will. — Ed.